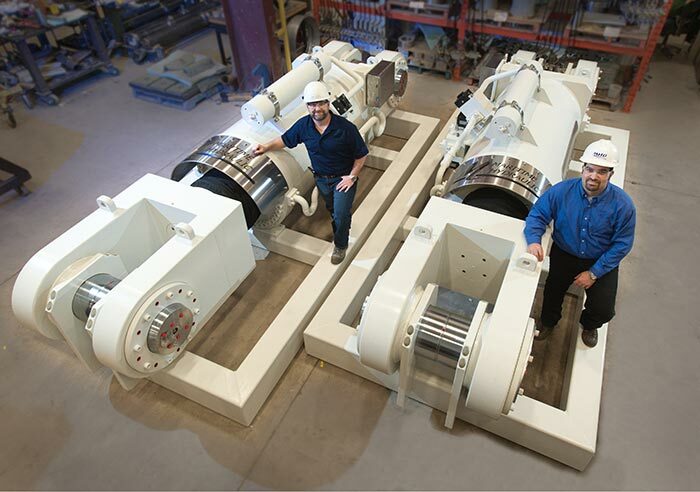 We can assist your organization with proven engineering, design, and manufacturing capabilities to support your clients in the mining industry. 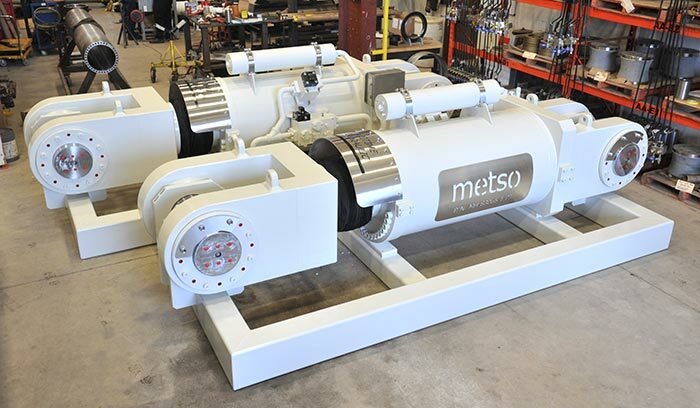 Maritime Hydraulic has successfully developed custom manufactured mining equipment for companies such as Metso Minerals, Potash Corp, Noranda, Windsor Salt, and Sandvik. We are a reliable and experienced partner in the fields of hydraulics, pneumatics, control systems and custom manufactured equipment. 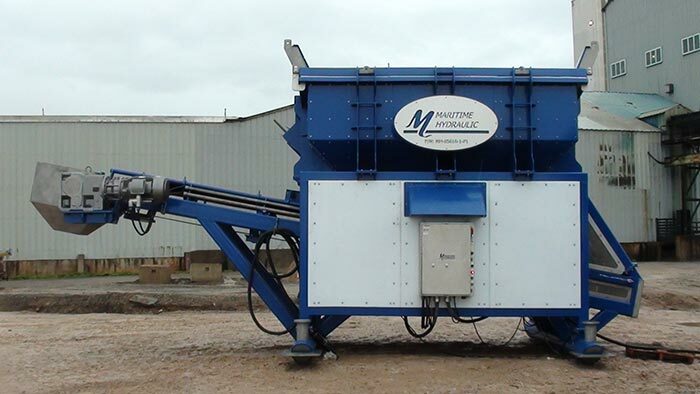 500 ton capacity crusher cylinders for Metso Minerals Inc., utilized to operate crushing rolls. These cylinders weighed over 45 thousand pounds when completed and included integral control/feed back systems. 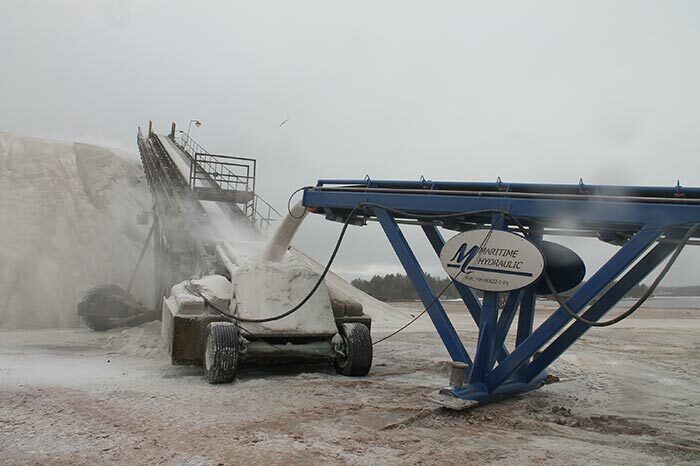 Design, manufacture, and installation of a material handling system for Windsor Salt, Canada, in 2013, for above ground processing and distribution of product. According to specifications and in compliance with industry standards.